BREAKING NEWS! 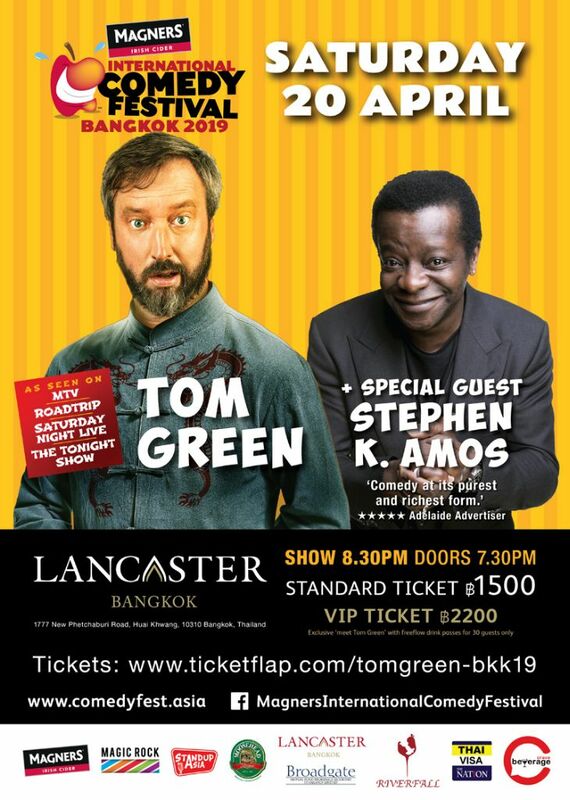 Top UK comedian Stephen K Amos joins the show! TOM GREEN, acclaimed comedian, actor, filmmaker, andtalk show host, found mainstream prominence via his influential and outrageous MTV television series, The Tom Green Show. TOM GREEN, acclaimed comedian, actor, filmmaker, andtalk show host, found mainstream prominence via his influential and outrageous MTV television series, The Tom Green Show. Before reality TV, YouTube, and social media existed, Green’s comedy changed television conventions forever by blurring the lines between pranks and performance art.His success landed him roles in mainstream Hollywood movies, such as Freddy Got Fingered, Road Trip, Charlie’s Angels, and Stealing Harvard. He has graced the cover of Rolling Stone, hosted Saturday Night Live, guest-hosted Late Show with David Letterman, and appeared on Oprah, Jay Leno, Conan O’Brien, Jimmy Kimmel, Jimmy Fallon, the Daily Show, and Comedy Central.Now,GREEN has made an enthusiastic return to his stand-up comedy roots, receiving 5-star reviews worldwide.The material in his current tour is the strongest of his career, adding more personal elements and underlying tenderness to the prank, man-on-the-street, visually surreal comedy he’s famous for. gone on to winthe 2004 Time Out Comedy Awardsfor Best Stand-Up and has been thrice-nominated for the Chortle Award for Best Compere. Amos has also performed on high-profile TV shows, including QI, Live at The Apollo, Have I Got News For You, and the Royal Variety Performance, along with making his own acclaimed Channel 4 documentary, Batty Man, launching his own show on BBC2, The Stephen K Amos Show, and creating two stand-up DVDs, Find the Funny and The Feel-good Factor. 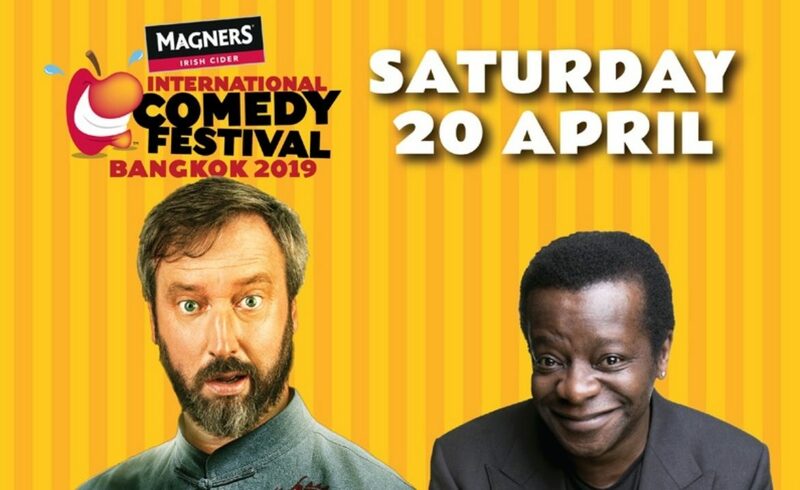 Don’t miss your chance to see the hilarious wit and charm of this comedic mastermind in Bangkok.